This project is comprised of a combination of technologies in order to achieve the final result, below are the technologies used and at the bottom of this page is the way in which they have been combined. For this project we will be using two DAQ devices, one low cost USB DAQ for user interaction and user control and another, faster and more accurate, PC bus installed DAQ for high speed output to the oscilloscope/display. The PC needs to have appropriate software for communicating with the DAQ and data processing, in this project we will be using National Instruments’ LabVIEW software with the Data Acquisition toolkit installed. 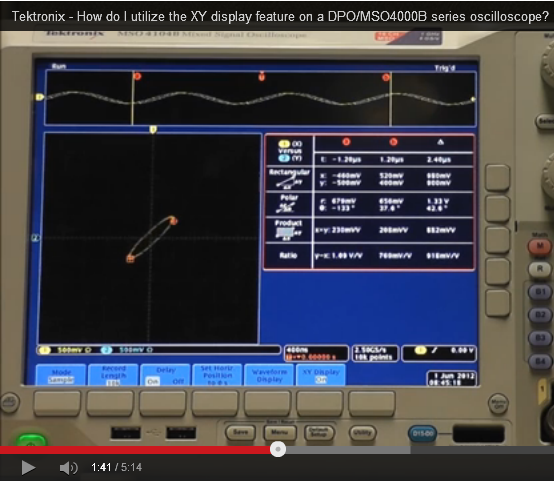 A less frequently used function on almost all oscilloscopes is the XY function. This allows the voltage on one input can be made to represent an x-axis position and can be plotted against the voltage of another input representing the y-axis. In this mode there is no visible time base and the previous data points will fade after an arbitrary period of time. 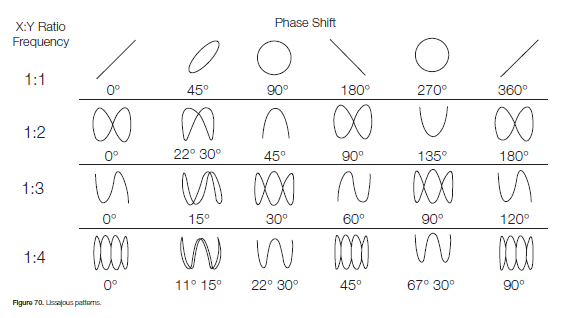 The most common use of this mode is to visualise phase shifts between waveforms as shown below. A classic children’s toy is the Etch-A-Sketch which has two knobs, one for an x-axis position and one for a y-axis position. When shaken the “screen” of the toy is cleared and the user can start again. 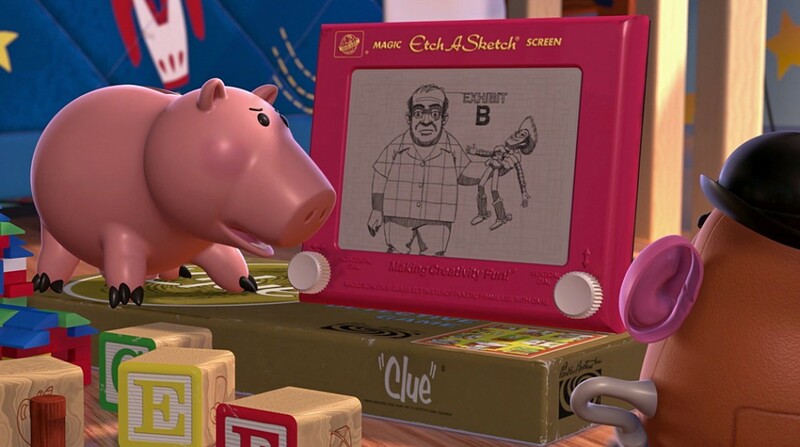 Here is a screenshot of an Etch-A-Sketch from the movie Toy Story. With the above technologies and/or their concepts, the intention was to draw on an oscilloscope similarly to an Etch-A-Sketch with two potentiometers connected to a DAQ device+PC. Extending this idea included adding buttons to resume/pause recording, clear the sketch plus a switch to disable recording and allow for practice/positioning. All of these controls were to be mounded on a custom circuit board to make the controls more ergonomic. To accomplish this, a program needed to be made in LabVIEW and the DAQ devices interfaced. The PC program needed to be able to manipulate and buffer the inputs and output the result at an appropriate rate to maintain a nice user experience. As a custom control board was being made, a dedicated USB DAQ could be used for interaction with the user whilst the high speed PC mounted DAQ was to be used for outputting the result to an oscilloscope in XY mode. Once this had been achieved it would be relatively easy to generalise and extend the program to output other data sets to the oscilloscope as an alternative to the Etch-A-Sketch mode.